Posted August 6, 2018 by Larry Lane - VR Business Brokers & filed under Sellers. It used to be business owners sold their companies outright to a strategic acquirer or a financial buyer or handed it down to family members. Today, many business owners are opting to take partial liquidity and stay on with the business. This option is a rather good one for business owners who may want to buy out other stakeholders or want a new partner, but aren’t ready to walk away from the business altogether. However, taking capital and not completing exiting the company is a unique transaction—one that the business owner needs to really understand before they enter in to. Whether the business owner sells 80 percent of the business or 20 percent, it’s important for them to diligence their potential partners. Unfortunately, too frequently, business owners are so elated at the prospect of receiving capital from a financial sponsor that they don’t do the proper due diligence on their potential partner or the deal terms. Then they find themselves at a loss when they can’t get rid of the wrong financial partners without a lot of aggravation, systemic risk to the business, and an expensive outlay. The wrong agreement with the wrong partners will never allow a company to scale as intended. Non-control and partial-control investments are like a marriage and can last anywhere from three years to upward of 10 years. Here are some of things owners should be thinking about if they want to take an investment. Most financial sponsors will say they understand your industry, but the onus is on the owner to figure out if they really do. You need to talk with your potential partner, understand their background, how they obtained their industry knowledge and talk to other business owners in your industry they have invested in. You need know what their qualifications are. “You need to ask the right questions. Owners cannot be afraid to ask the potential investor why they think they are the right fit.” says Karine Philippon, a partner focused on technology, manufacturing and distribution deals at accounting firm Mazars USA. If they are experts in your industry they will have already acquired or invested in companies that are similar to your company. They will have successful outcomes to prove it or have partners on their team that have credible track records in the vertical. “It’s very important that the partner have industry knowledge. The partners have to be vetted and the owners need to figure out how they will be able to leverage that knowledge and how useful it will be to them,” says Philippon. Charlie Gifford, a senior partner with non-control private equity firm New Heritage Partners, says calling references is key. “Do your homework. Call all the references and then call people who aren’t on the reference list who may know something about your potential partner,” says Gifford. This partner will have a seat on your or board and, in some cases, even more oversight depending on the agreement. It’s important to make sure you respect the financial partners personally. Kenneth Marks, a managing partner at High Rock Partners, an investment bank located in Raleigh, North Carolina, suggests finding out specifically who will be on the company’s board. “You want to know if the person sitting your board has the right temperament and is aligned with you and your business goals. When things go wrong, and they often do, who will be across the table? Will they solve problems or have knee-jerk reactions,” says Marks. Good questions to ask include: do they have experience, how will they interact with you and your employees, and are they people you would feel comfortable with if you met under different circumstances? “Like everything in life, it’s a balance between controlling the company, getting the money and having a true partner going forward,” says Philippon. Every financial sponsor brings capital to the deal, it’s their connections, mentorship and insights that will vary and are often the most important factors. You also want to make sure your ideas align for the company moving forward so there are no surprises. Your partners should be able to help you connect to their network and propel your company forward. “You need a partner who has the ability to identify areas in which an injection of resources can help solve a problem. You want to align with investors who can say, we have seen this before and this is how we have solved that problem or fixed this bottleneck. An investor’s prior experiences with the challenges that a business owner is facing, can help solve it or improve the situation,” says Gretchen Perkins, a partner with Huron Capital, which recently closed on a $142 million non-control private equity fund. Often times business owners wait until the last minute to have meet with potential investors and then they don’t have the time to make truly educated decisions. “Don’t let the pressure of getting liquidity drive the investment decision because you will likely wind up with less control of the company or the wrong partner because you didn’t truly think through your needs and who the right investor would be,” says Philippon. It’s also important to understand a few things prior to the legal stage of a capital raise. Before getting far down the road, business owners should get clarity around corporate governance issues. “What types of meetings will the investor require, how often, what type of reporting, and what’s their role in the decision making process outside of being a board member,” says Marks. Business owners also should get clarity on distributions. Many business owners are used to pulling money out of the business when convenient, but arrangements will become formalized with an investor. “Many times distributions are curtailed or managed when an investor comes on. Will these types of changes work for the business owners’ lifestyle?” says Marks. If they are remaining a partial owner of the business, business owners want to protect themselves when it comes to future capital transactions. 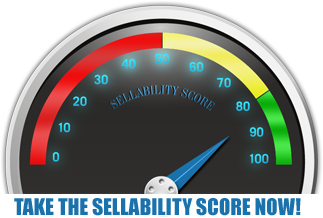 Will there be restrictions on taking additional money off the table in a future secondary sale? If the new investor wants to sell or raise more capital, who decides on the new buyer or investor and the terms? “Owners should make sure they have a clear understanding of what the exit strategy is, and they need to think about that in advance. Owners need to pay attention to the terms and conditions set forth,” says Marks. There can be great upside to bringing on a private equity partner while retaining a stake in the business. Just remember that bringing on an investor is like getting married, but with no option for divorce. Do your due diligence and know what you are getting into. Is your business creating maximum value? © 2019 DALLAS, TX Business Brokers.